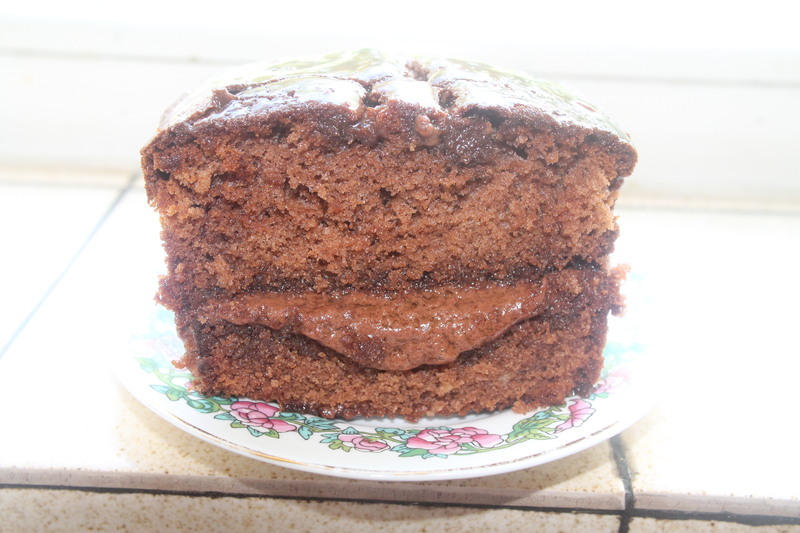 Chocolate cake always goes down well for afternoon tea and my dentist, (whom I saw on Saturday) is very partial to chocolate cake so this is a new recipe just for her. 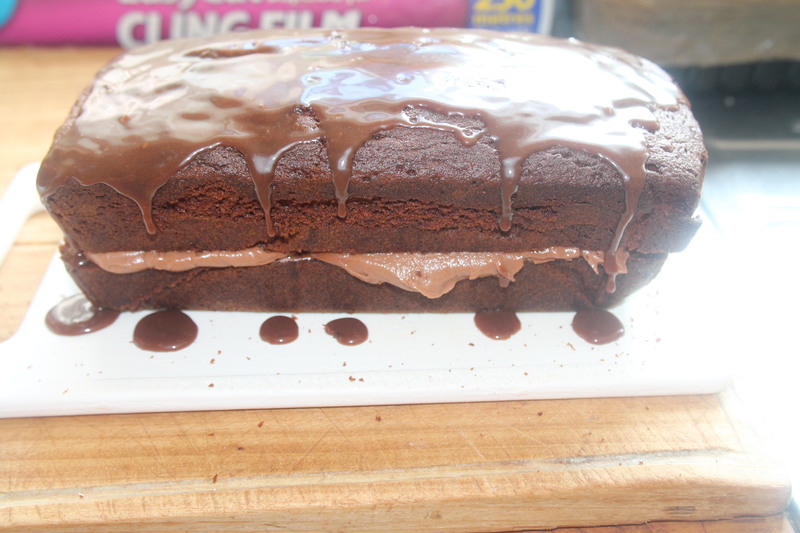 It is a take on lemon drizzle cake but chocolate cake with a Mars bar drizzle and a chocolate butter cream filling. I discovered that you could melt Mars bars and drizzle onto cake when I went to the cupboard and found the chocolate gone but one Mars bar left. 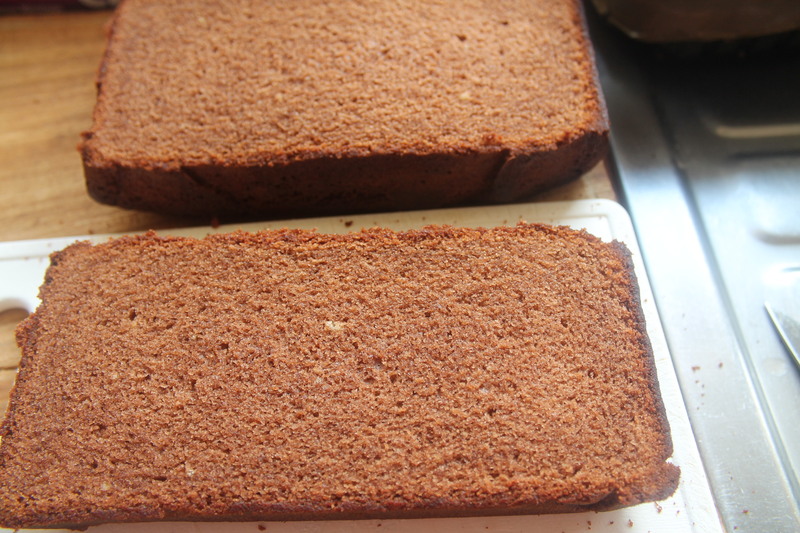 Oven 180 C, 350 F or gas mark 4 A greased loaf tin or a sandwich tin. Mix all the ingredients together and beat until smooth. Once everything has cooled down the top of the cake looks sticky but not actually covered in a chocolate icing so you can, if you want, cover the top with icing or leave it as it is. I left mine and it was voted a hit by the dentist!